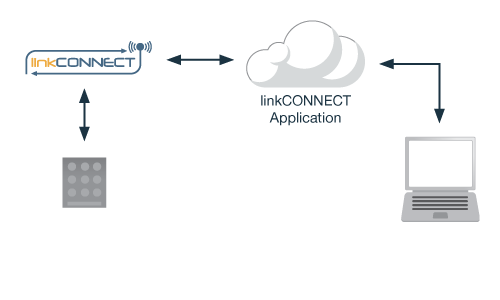 Siretta linkCONNECT solutions are used in remote door entry applications to authenticate users via either a simple pin code entry mechanism or a more advanced system such as fingerprint recognition or Bluetooth phone authentication. Once a user is authenticated the system is able to securely grant access to building premises, warehouses, garages etc without the need for a manual key exchange or a lock and key entry. The Siretta linkCONNECT solution enables remote monitoring of users access history and date and time logging which enables a number of users to access the same resource at different times without the need to have many sets of keys in existence creating a greater security risk.